Funclesarts | Because creativity can be simple, affordable, and it makes life more fun! Here is last year’s blog post Happy Easter! This week, we share some colorful Easter and Spring ideas. 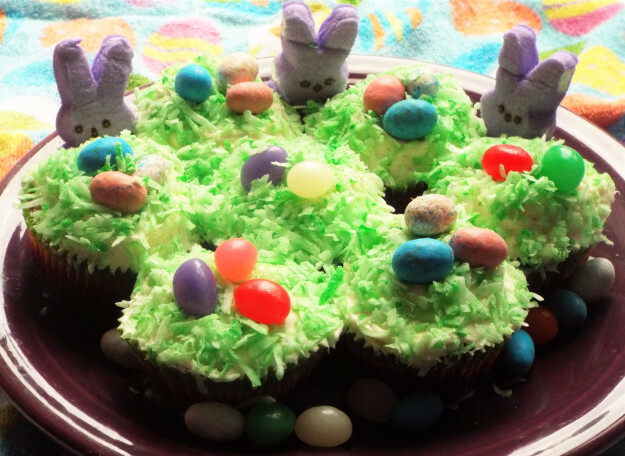 Check out our Easy Easter Cupcakes, quick holiday decorating tips, a plant update, our healthy Bunny Dip Crudite Platter, one of our special Easter traditions, and of course, the bears! 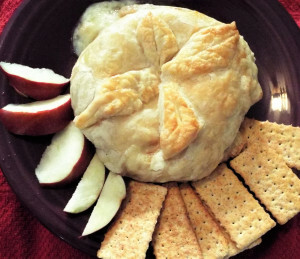 Get the kids involved in this easy holiday dessert. The Peep Bunnies seem intrigued! Prepare your favorite flavor of cake mix according to package directions for cupcakes. For Easter, we use carrot cake. Frost them with canned white frosting. Of course, you can make your cupcakes and frosting from scratch, but the cake mixes and canned frosting are quite tasty and save time. Save even more time – decorate store-bought frosted cupcakes! 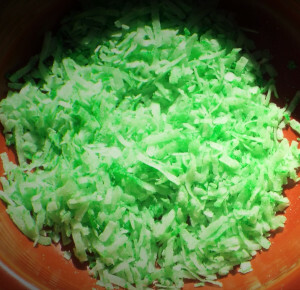 To make the “grass”: mix 2 or 3 drops of green food coloring into one cup of shredded coconut. This entry was posted in Uncategorized on April 16, 2017 by roydrewartsetc. Here’s our first St. Patrick’s Day blog! We love St. Patrick’s Day! (See the subtle picture above.) For this post, we share a variety of things to help you celebrate this fun holiday. This entry was posted in Uncategorized on March 16, 2017 by roydrewartsetc. 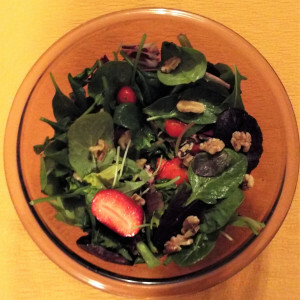 Here’s last year’s St. Patrick’s Day blog post! We love St. Patrick’s Day, and this year we came up with some fun things suitable for the whole family. 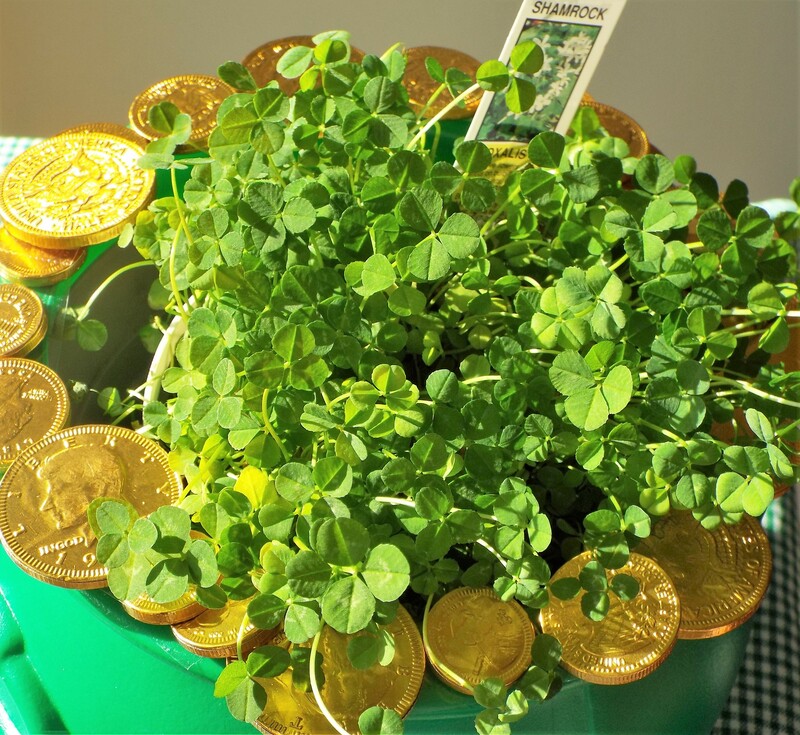 Find out about our easy shamrock cake, a traditional potato recipe, a simple holiday drawing tip, some gifts for the wee ones, a garden update and, of course, the bears! 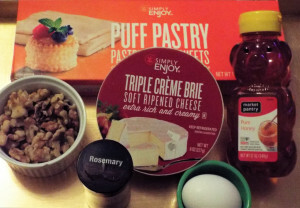 This no-bake cake was easy to create. 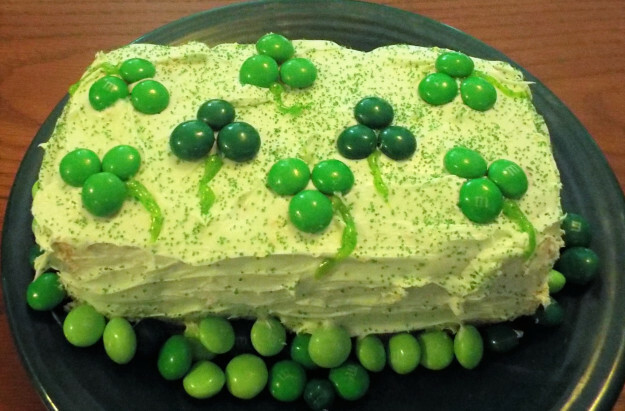 We were going to stencil the shamrocks onto the cake with green decorating sugar, but early attempts didn’t go well. After looking around the candy aisle for an alternative, we thought that mint dark chocolate M&M’s would make perfect shamrocks. They did! Happy St. Patrick’s Day 2017 (now that we are both Irish)! Our mantra has always been that everyone is Irish on St. Patrick’s Day. This year, we have found out that it is actually true for us. Kevin is Irish and is named for his Irish roots. Recent new family DNA testing reveals that Roy is 13 percent Irish! Erin go Bragh! We love our new ice cream maker and have been experimenting with different flavors. In honor of St. Patrick’s Day, it’s Andes Candies Green! 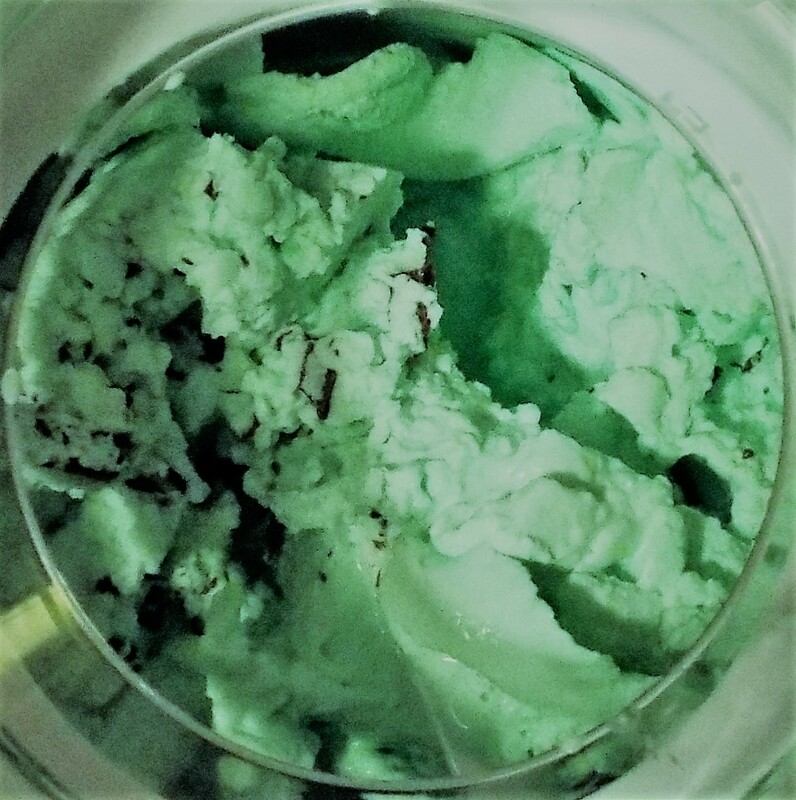 We made a standard vanilla ice cream, added some drops of green food coloring and 1/2 teaspoon of mint extract. Five minutes before the ice cream was done, some chopped Andes Candies were added to the mix. Fittingly green, minty, and festive! If you have an ice cream maker, follow your directions for vanilla ice cream and add the last three ingredients listed below. 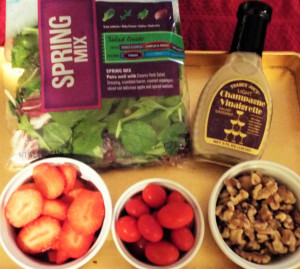 *These are ingredients we added to the recipe. 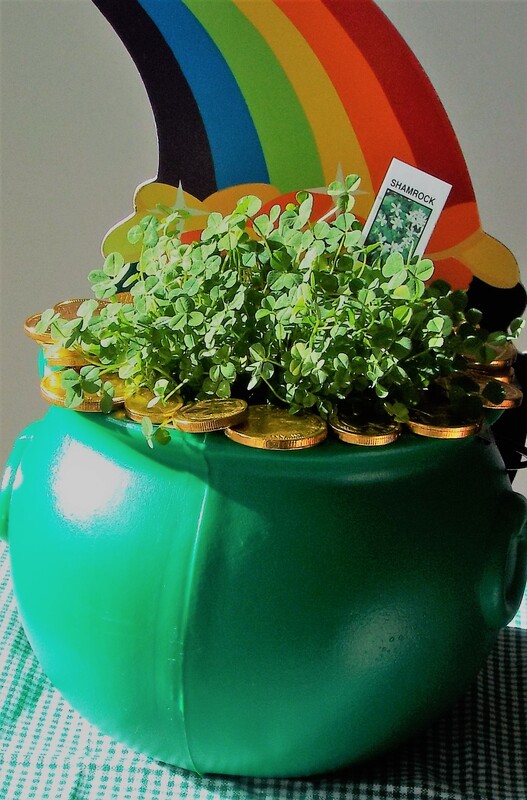 Place a small pot of shamrocks (ours were bought at Stop and Shop for $2.99) in a holiday pot picked up at a party store. Attach chocolate gold coins around the edge using double stick tape. A rainbow wall decoration adds the perfect background for our “pot at the end of the rainbow”. 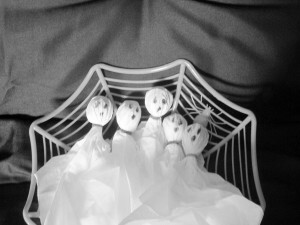 This works well for a party, but for a more permanent decoration, use plastic gold coins and attach them with craft glue. 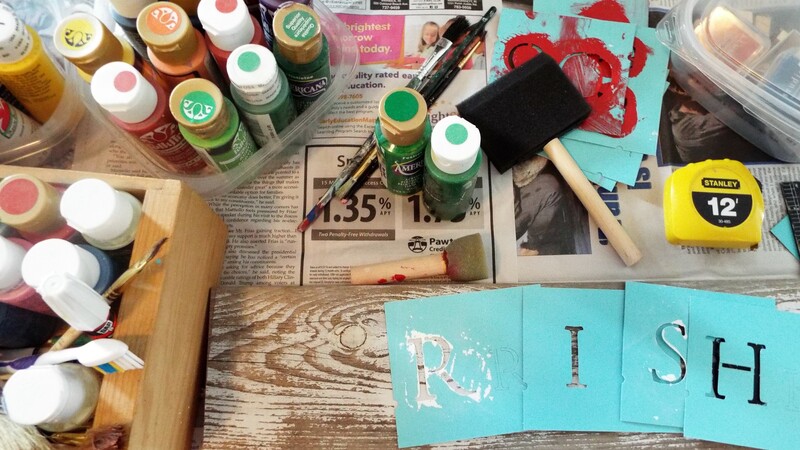 Some of the materials used: acrylic paints, stencils, stamps, old boards. Here is a sign we created for St. Valentine’s Day based on a quote by Broadway’s “Hamilton” creator Lin-Manuel Miranda in response to the Pulse nightclub shooting. Never iron a 4-leaf clover because you don’t want to press your luck! The bears followed the rainbow to the Pot o’ Shamrocks! 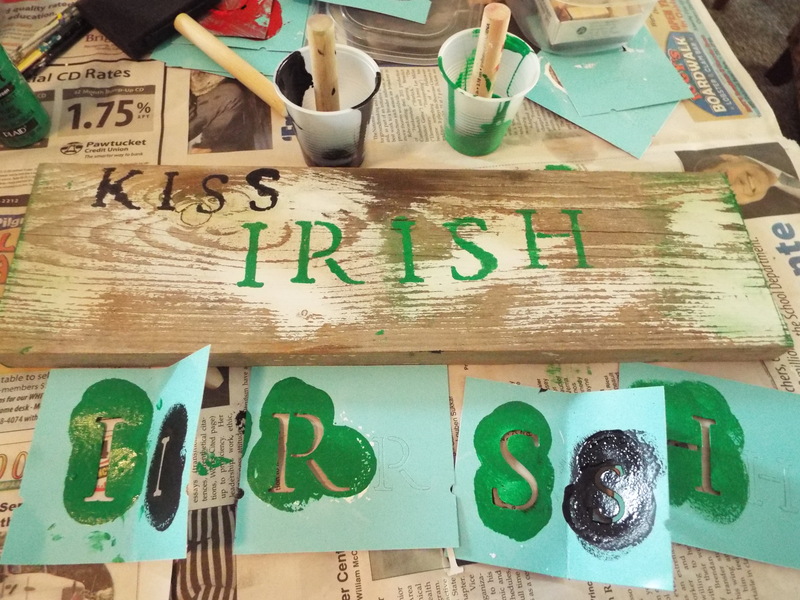 This entry was posted in Crafts, creativity, Holidays, recipes, Uncategorized and tagged St. Patrick's Day on March 10, 2017 by roydrewartsetc. This entry was posted in Uncategorized on February 27, 2017 by roydrewartsetc.